Resettlement involves selecting and transferring refugees from a country where they have sought protection to a third country which has previously agreed to grant them the right to permanent residence. This measure offers a solution to those who cannot return to their country of origin but can no longer benefit from sufficient protection and have no local integration prospects in the first reception country. Resettlement is completely complementary to the Belgian procedure for international protection. By making efforts in the area of resettlement, Belgium ensures an integrated international protection policy. In 2018, 880 refugees arrived in Belgium in the frame of the resettlement programme: 802 Syrians coming from Lebanon, Turkey and Jordan; 34 Congolese coming from Uganda en 43 Eritreans and Somalis coming from Niger. Since 2013 Belgium has a structural resettlement programme, which means that our country offers every year protection to a number of vulnerable refugees. Since this date, 3,051 refugees have been resettled in Belgium, among them 2,657 Syrian refugees and 315 Congolese refugees. 2018 : 802 Syrian refugees from Lebanon,Turkey and Jordan; 34 Congolese refugees from Uganda and 43 Eritrean and Somali refugees from Niger. 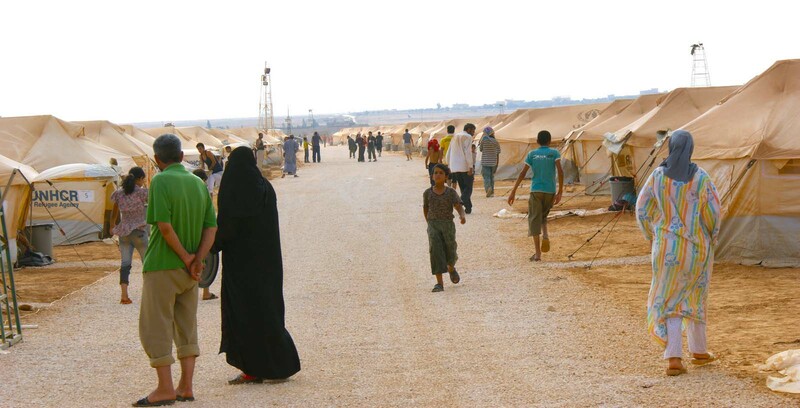 Resettlement involves both national and international actors, all involved in their own way to assist the refugees. Initially, the UNHCR (UN Refugee Agency) identifies the refugees who fulfill the requirements for resettlement. It then selects refugees for Belgium according to the European priorities. In a second time, the CGRS (Office of the Commissionner General for Refugees and Stateless Persons) travels to the first reception country for selection interviews with the refugees. The refugees are selected according to the criteria in the Geneva Convention. Prior to their departure, the refugees meet a team from Fedasil (Federal Agency for the Reception of Asylum Seekers in Belgium) who inform and prepare them for their arrival in Belgium. Fedasil staff is helped in this task by the IOM mission located in the first reception country. The IOM (International Organization for Migration) organises the travel arrangements. Assisted by the FPS Foreign Affairs and the Belgian Embassies, the IOM helps reserving national and international flights, accompanies the refugees on departure and provides assistance in transit and on arrival, including helping with immigration and customs formalities. On arrival in Belgium, the refugees submit an application for international protection with the Foreigners' Office. This step is purely a formality given that their case is already known and has already received a positive opinion from the CGRS. Thus, the refugees are quickly granted a clear status. The first reception in Belgium is managed by Fedasil, which allocates the refugees a place in the Federal reception centres of Sint-Truiden, Pondrôme, Florennes or Kapellen. During their 6-to-7-weeks stay in a reception centre, the administrative affairs are put in order (refugee statements and certificates of registration on the Aliens' register). The stay at the centre also gives the refugees direct and fast access to specialised social and medical services. Furthermore, every centre prepares a basic programme for these refugees including language lessons. After their stay in a collective reception center, resettled refugees are accommodated in a local reception initiative (LRI) located in a commune. They have the right to stay in it for six months. In accordance with the new reception model, these local reception initiatives are accommodations made available to recognized refugees (in this case, resettled refugees) and managed by the PSWC’s (Public Social Welfare Centres within the communes). The PSWC managing the LRI where resettled refuges are accommodated can be eligible to relocate them outside the reception network and to assist them for a year. The PSWC becomes in that case a fully-fledged resettlement operator: it ensures the refugees’ integration support and social assistance. For questions about the selection of the resettled refugees and the procedure of international protection, please contact the CGRS via resettlement@ibz.fgov.be. For questions about the transfer to Belgium, the reception and the integration of the resettled refugees, please contact Fedasil via resettlement@fedasil.be.